In both cases, when asking a patient how their mouth feels they will not be able to detect either periodontal disease or dental decay unless there is pain. The detection and treatment of these conditions is dependent on professional care. Seeing your dentist regularly is essential in the early detection of potential problems. Contact me for assistance with adult dentistry. Both dental decay and periodontal disease are preventable conditions if treated appropriately. Effective dental care begins at a very young age with parental guidance and involvement. 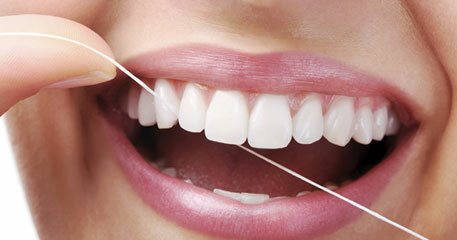 There is no reason for teeth not to remain in a healthy condition and last a lifetime. 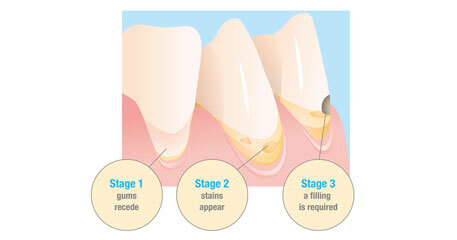 The two most common causes of tooth loss in an adult patient are periodontal disease and dental decay. Both are caused by the accumulation of plaque and both develop over a period of time. Tooth loss through dental decay is more prevalent in younger patients. Periodontal disease is more prevalent in the adult population. Unfortunately dental decay does set in necessitating the removal of decay and the placement of the appropriate restoration. In days gone by amalgam was the treatment of choice. Good amalgam restorations can last a long time but their longevity is many times dependent on the skill of the restorative dentist. Also the amalgam leaks and and recurrent decay sets in. This necessitates replacing the restoration with the appropriate restorative material. Nowadays there are many restorative alternatives available, which need to be discussed before making the appropriate choice. A prosthodontist is highly skilled in advising a patient which course of action to take in preserving long-term dental health. It is not infrequent for a prosthodontist to refer a patient to a periodontist for the necessary gum treatment. Good restorative adult dentistry can last many years in a plaque environment. Besides professional attention, effective oral hygiene procedures in the bathroom on a daily basis is essential. You might have seen many adults undergoing orthodontic treatment. The reason for this is related many times to undetected orthodontic problems that existed in childhood which were not treated timelessly. Another reason is that early tooth loss might have caused drifting and shifting of the remaining teeth causing an unsightly smile. Also orthodontic treatment may be necessary to regain space for the placement of implants, which have become a very effective way of replacing missing teeth.